This is about me! Welcome to the least must-read column in the entire Smark Henry Halll of Pen. This is SmackDown RunDown Live! It’s Day 2 of the Superstar Shake-Up or whatever it’s called. After RAW purged some of the Blue Brand’s big names, who did we get in return? Let’s get down to it. This is why I love SmackDown Live: they can make you care. In just one explosive opening segment, the stock of the United States Championship increased twofold. Hell, the U.S. title picture became the most important and the most interesting storyline of the show. Imagine the amount of talent from the three contender-wannabes. You can practically give the title shot to any of them and it would still be a more compelling storyline than the entire Orton/Wyatt narrative. Don’t believe me? Go back and watch this week’s triple threat main event and tell me if Orton and Wyatt can top that one. The ones I’m totally excited for are Sami Zayn and babyface AJ Styles. 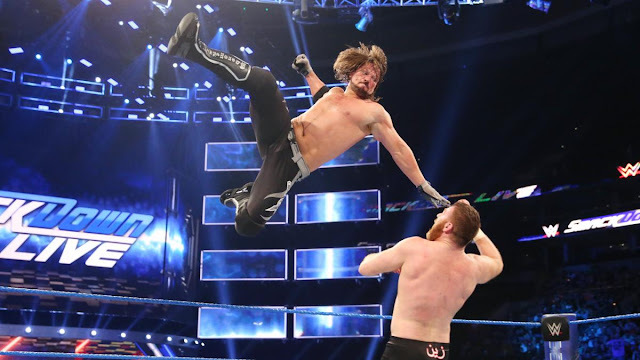 We’ve been clamoring for Sami Zayn to be part of the Blue Brand and this week, he exceeded our expectations by showing us how he belonged in that ring. Hopefully, we’ll see Sami Zayn live up to his potential, as long as he’s being used right. 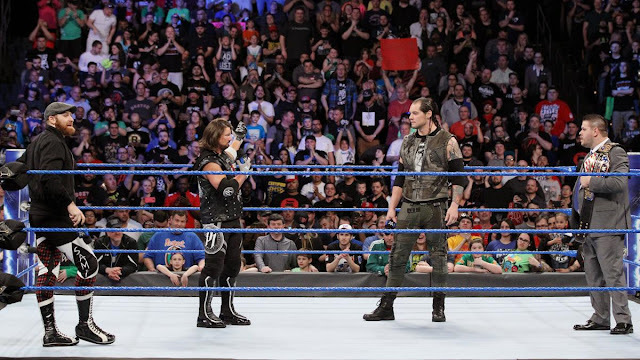 And as for AJ, his face turn has been a long time coming, and I’m glad Creative is finally banking on AJ Styles’ popularity with the WWE Universe. I’m guessing he’ll take Cena’s spot as the top babyface and I can’t really imagine anyone more fit for the role. What I’m trying to say is this Superstar Shake-Up made SmackDown Live better than it was before, and this week was just a sneak peak. Vibe: It’s now time to check up on our recent NXT call-ups to see how are they fitting in on the main roster. 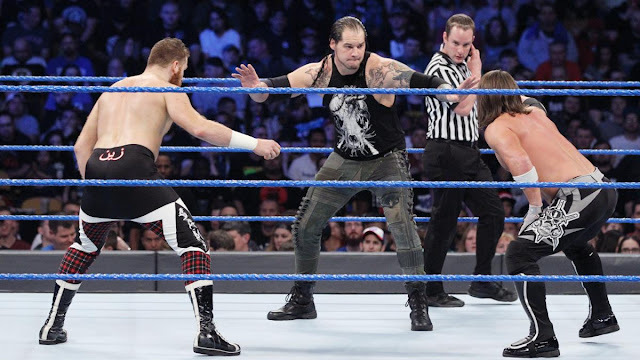 For starters, Tye Dillinger is doing fine this week after beating the recently single and current virtuoso Aiden English. Good for Aiden. He’s my favorite Vaudevillain and I hope he can make this musical gimmick work in the main roster. On the other hand, it looks like Shinsuke Nakamura will be busy with Dolph Ziggler in the coming weeks. He remains to be the most over guy on the roster and this week, we got a little more than just shaking and dancing. Let’s see the NXT Killer kill this one. Vibe: We may have lost arguably the queen of SmackDown Live in Alexa Bliss, but we gained another queen in the form of Charlotte. That’s what I call a pretty cool deal. We also got Tamina, adding more muscle to the women’s division. Naomi better watch her back. The only question now is will Charlotte begin a new leaf on SmackDown Live as a face or will she continue being the ruthless Queen? Hey, I’m just glad she’s miles away from Nia Jax. Blue: Now that we have some primetime players on SmackDown Live, it’s really hard to care about the WWE Championship. Great, Orton’s facing Wyatt’s bodyguard for the nth time. We still don’t know what the House of Horrors Match really is and at this point, does it even matter? Bray is on RAW, which means there’s no way he’ll win the damn match. Why introduce his own signature match now? I don’t know, I don’t really care anymore. Vibe: Heel Usos defended their SmackDown Tag Team Championships against American Alpha and as always, both teams delivered a clinic of a match. Rightfully, the Usos retained their titles, but the surprise came after the match when the Shining Stars laid out the losing team with a powerbomb-backbreaker combo. I can appreciate the effort in making Primo and Epico a bigger deal than what they really are, I just hope they stick the landing this time. What, are we going to repackage these guys again? Vibe: Speaking of repackaging, SmackDown Live received the new and improved Jinder Mahal. Whether that’s a good thing is up to you. What’s commendable is that Creative is actually giving this guy a chance to shine. He’ll probably just be the torrent Mojo Rawley needs to overcome, and I’m totally fine with it. Their match this week was fun, and that sick running elbow from Mojo is… um, sick. More of these, please, and maybe less Gronk. Who needs that guy, anyway? SMACKDOWN RUNDOWN: As random as the Superstar Shake-Up may have been, I still think it served its purpose to shuffle and rejuvenate both rosters (although RAW needed it more, we’re fine here at Tuesday nights). We lost some great members of our roster that helped build SmackDown Live as the must-see show, but I think the Blue Brand’s creative forces are competent enough to make everything work to their advantage. We already saw how the US Title became a sought-after prize in just one night, as well as some former jobbers looking for brand new reboots. And hey, how about that awesome main event? Also, we have Shinsuke! So yeah, SmackDown Live will be fine. I will generously reward this week’s episode a resounding A. Did you enjoy this week’s SmackDown Live? Are you glad Aiden English is doing quite well alone? Find the value of x down at the comments. 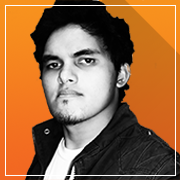 Ricky Jay Publico (@HarambeMustLive) is a wrestling fan who enjoys watching high flyers and brawlers battle it out in the ring. A known Botchamania binge-watcher, he claims to have memorized the chronological order of Royal Rumble winners, but fails to remember who won in 2004. He writes stories about life and nonsense.